Abstract: Tiksi is located in the Sakha Republic of northern Siberia. It is on the coast of the Arctic Ocean and housed a weather station dating from 1932. In 2005, the Russian Federation's Roshydromet, the U.S. National Oceanic and Atmospheric Administration, the U.S. National Science Foundation and the Finnish Meteorological Institute formed a partnership to establish a new International Hydrometeorological Observatory at Tiksi in support of the International Polar Year (IPY). 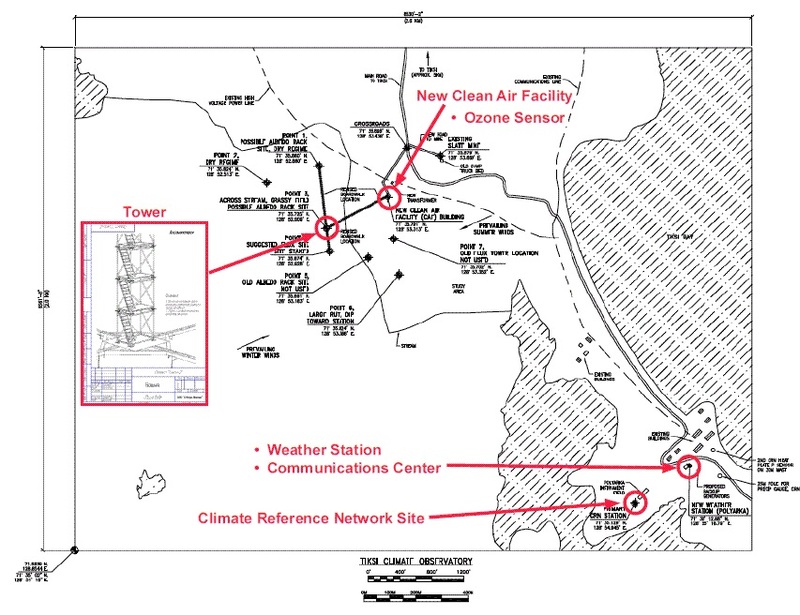 By 2010, the partnership had initiated measurements at the new weather station and Clean Air Facility. It continues to operate as a partnership between these entities. The facility's focus is on atmosphere-surface exchanges, radiation, aerosols, and climate-grade meteorological measurements.